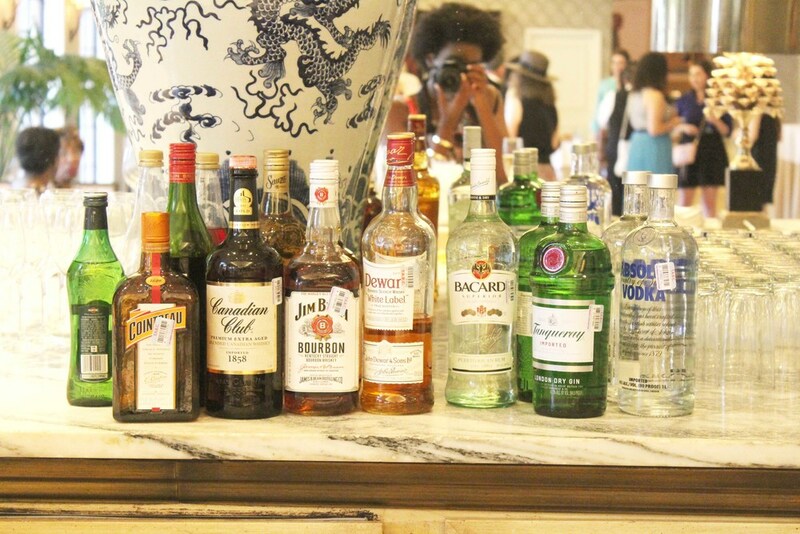 Last Thursday, I made my way to the Rosewood Mansion in Uptown for the first Chikuhodo x Beautylish preview. I later learned that Dallas was the very first preview for the Sakura Collection brush set, so we have tons to be proud of and it was a fabulous way to kick-off The Makeup Show weekend! I was able to see and touch the new brushes while sipping fine champagne and enjoying hors d'oeuvres in such a gorgeous space. I kicked myself for arriving so early because as soon as I left, all of my blogger friends were there and I could have gotten tons of group selfies! If you're a beauty enthusiast, then you may have heard of Hakuhodo brushes, but they're not the same brand; however, they are both high-quality Japanese brush brands. These were some of the softest makeup brushes I'd ever felt in my life! They're crafted with grey squirrel and other unbelievably soft natural hairs that result in a flawless makeup application. This set features two face brushes and three eye brushes for a gorgeous detailed look. I appreciate that there are also some affordable collections of brushes with this brand and they're not all super expensive. There are quite a few collections with an average price range of $20-70 per brush which is very normal for goat hair brushes. The Sakura Collection will be available on Beautylish soon (early access), but you can check out all of the other Chikuhodo brush collections on the site! 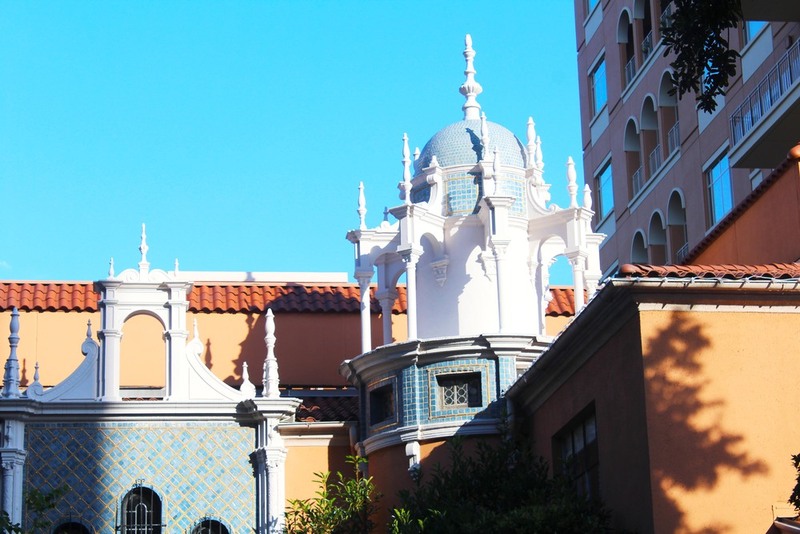 Glimpse of the Rosewood Mansion exterior -- gorgeous architecture! 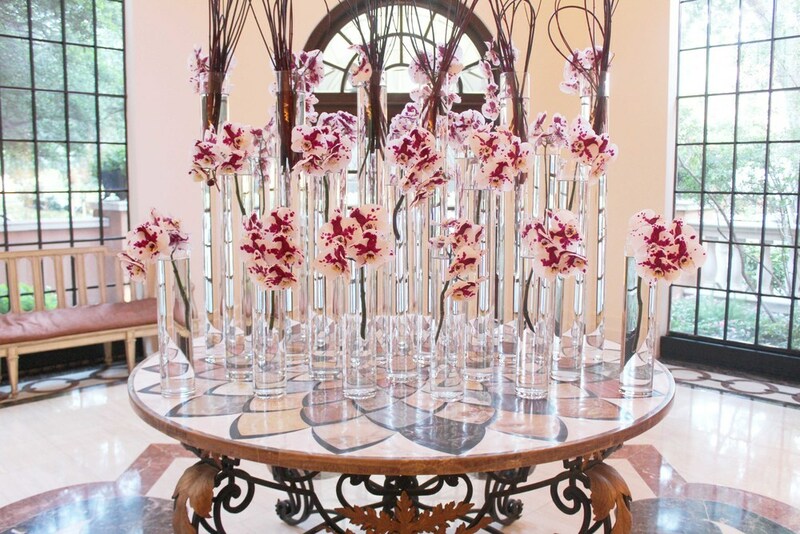 Orchids as soon as you walk in the lobby. 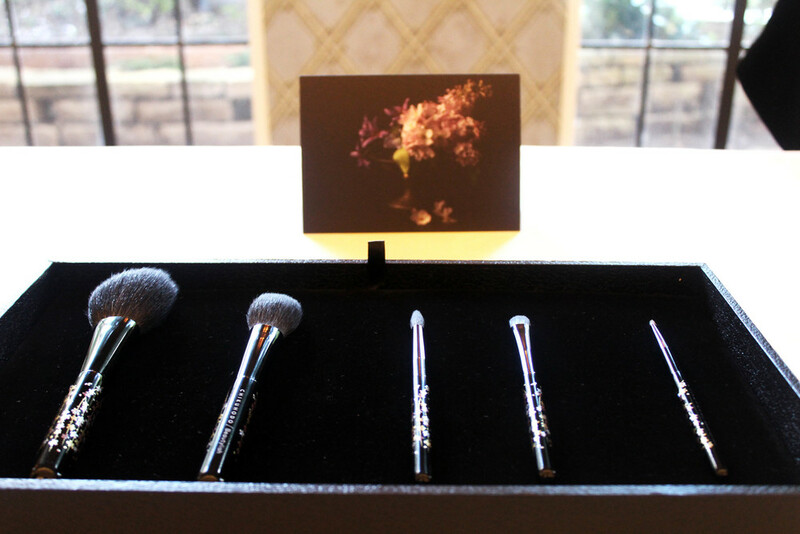 The Chikuhodo Sakura Collection -- five brush set complete with two face and three eye brushes. Hors d'oeuvres and smooth champagne. In the Promenade Room with a beautiful view of the cul-de-sac. The limited edition Sakura Collection is scheduled to launch on July 2nd on Beautylish for $215. Will you purchase a set for your brush collection? Don't forget to sign up for early access to stay updated!